1 (of a person) Somewhat fat or of heavy build: stout middle-aged men. • (of an object) Strong and thick: Billy had armed himself with a stout stick | stout walking boots. 2 (of an act, quality, or person) Brave and determined: he put up a stout defense in court. 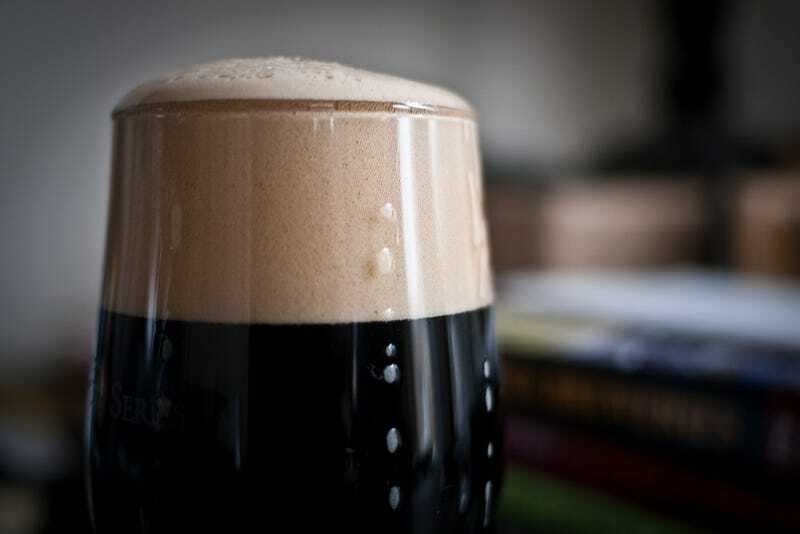 A kind of strong, dark beer brewed with roasted malt or barley. ORIGIN: Middle English: from Anglo-Norman French and Old French dialect, of West Germanic origin; perhaps related to stilt. The noun (late 17th cent.) originally denoted any strong beer and is probably elliptical for stout ale.